Cash support to help individuals, schools and organisations overcome obstacles that prevent them from Going Nice Places and Doing Good Things. The Montane Alpine Club grants are available twice a year for both official Alpine Club expeditions and independent expeditions with one or more aspirant/full AC members taking part. Grants range from £575 to £1725 per expeditions. Preference is given to expeditions by students and younger members, and to those who have not previously received a grant.Grants are usually given to expeditions attempting new routes in high and/or hard to reach mountain ranges e.g. the Himalaya and Karakoram ranges. Grants will now not typically be given for the more well- travelled mountain areas in Central Alaska, Patagonia, or Greenland (unless the applicants are young members who are new to expeditionary climbing). First ski ascents or descents are not usually supported.A new feature of the grants is that they may now be awarded to teams attempting early repeats of technical routes, especially on 7000m and 8000m mountains, and/or if they aim to improve on the style of earlier ascents.It should be noted that the amount awarded will be reduced pro-rata for each non-member in the expedition team e.g. A four person team awarded £800 will have £200 deducted for each non-member (or member who has received a grant in the last 2 years) in the party. Available to ski mountaineers in support of exploratory expeditions, attending advanced courses or conducting related research. Average grant: up to £600. Full details, application form and contact details are here: alpineskiclub.org.uk/grants. Supporting the advancement and education of young people by the provision of grants in support of Arctic expeditions. Assisting Her Majesty's Constabulary with grants towards the cost of further education and training aimed at enhancing their effectiveness in the community. If you are under 26 and lack funding for a climbing expedition or other outdoor initiative, then you could qualify for a grant from the Andy Fanshawe Memorial Trust. The Trust could also help fund your place on a training course provided your primary reason for attending it is for personal development rather than professional qualifications. Maximum grant of £500. An annual grant established to support individuals or groups who display a creative and innovative approach towards adventurous travel and expeditioning. For more information please contact Toby Clark at toby.clark@jmt.org or on 0131 554 0114. For more information on BMC grant support for Expeditions click here. For information on BMC Research Grants click here. The Captain Scott Society Awards are granted to assist individuals or groups to undertake adventurous expeditions and endeavours. There are two awards. One is for people attempting adventourous "firsts". The other is specifically for young people age 11 to 19. An opportunity for today’s young climbers to win £1000 in cash and £2000 worth of crux equipment for use on an outstanding mountaineering objective. Deadline for applications is 31 January. DMM can support trips with equipment rather than money. Check out their requirements here. A range of grants available with the focus being ski touring and ski mountaineering, often for younger people. Full information and application procedures are here eagleskiclub.org.uk. To encourage and enable people to undertake their own adventurous trips, ideas and expeditions. Applications are welcomed from all walks of life and all sorts of ideas will be considered - from expeditions in far-flung destinations to local adventures in the UK. The aim of the grant is to promote journeys that involve immersion in unfamiliar places, cultures and ideas. Available to UK residents between the ages of 18-25 who intend to spend a minimum of 6 months travelling abroad. Website: janapar-grant.org.uk. The charity helps people and projects that reflect Jeremy’s passions in life: athletics, geology, adventure and the environment. The trust also provides one or more mountaineering grants on an annual basis to those applying for expedition grants from the BMC. Further information on the Jeremy Willson Mountain Exploration Grant. Website: www.jwct.org.uk. Set up by the Jack Bloor Trustees in memory of Jack Bloor, who was a former member of the BMC from Yorkshire and who made many first ascents in Yorkshire and the Lake District. Grants are available to young people under 26, who want to improve their skills in the outdoors or to help with training for rock climbing competitions. Grants are available all year round to people who live in Yorkshire and belong to the BMC. Up to 50% of the total cost is available up to a maximum of £300. Further information about the Jack Bloor Fund. A small grant to assist deserving female mountaineers or any disabled climbers or mountaineers, both male and female, to achieve their climbing or mountaineering ambitions. Applications for the Julie Tullis Memorial Award can be made via the BMC Expedition Grant form, and should include a short covering note explaining how the project fits the award criteria. 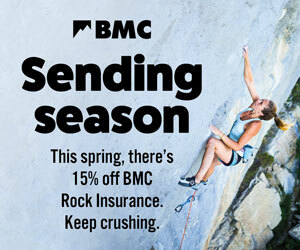 The BMC will consider applications from individual British females, or a female expedition, with an interesting mountaineering goal. Also welcomed are applications from male or female disabled climbers with a specific climbing or mountaineering goal for the year in question. Further information about the Julie Tullis Memorial Award. An award set up by GRIT&ROCK to promote female first ascents. The award will fund a female-led expedition team up to the amount of GBP5,000. The aims of the annually awarded FIRST ASCENT EXPEDITION GRANT is to promote and encourage female participation in pioneering alpine ascents. The Award is open to individuals and climbing teams with majority female participation and is meant to provide funding for those who need it most. Further information about the First Ascent Award. The Alison Chadwick Memorial Award is a financial award made to either a female mountaineer or an all female expedition. Further information about the Alison Chadwick Award. The MEF encourages mountaineering expeditions to unexplored mountain regions, as well as education and research projects in a wide range of subjects, including geography, geology, medical research and biology. Expeditions must have a strong exploratory element to be deemed eligible for support. Expeditions planning geographical exploration, first ascent, or major new routes on high and remote mountains are likely to qualify. Normally the MEF will only support expeditions where the majority of members are from the UK or New Zealand. Grants will be given on a basis of proven need, and range from £1500 to many tens of thousands for expeditions to extremely remote and logistically expensive areas. The deadlines for receipt of completed applications are bi-annually on the 30th September and 31st January. The MEF also administer the Alison Chadwick Memorial Grant "to further British and Polish women’s mountaineering in the greater ranges". Small grants for independent trips. Website: thenextchallenge.org. Expeditions attempting an objective of mountaineering significance. This might be a previously unclimbed face, ridge or summit or a repeat of an existing route in more challenging style or conditions. Applications are considered solely in terms of their mountaineering merit; other objectives are not taken into account. Average grant: £1,000. There are a wide range of award and bursaries available through Plas y Brenin. You will need to read each one to see whether you meet the criteria or not. Grant are available to both able and disability athletes between the ages of 15 and 23. Grants to athletes over 23 may be made in exceptional circumstances. Details and how to apply are here rpmf.org.uk. For endeavors that demonstrate the exploration philosophy of Shipton and Tilman - small, lighweight and innovative. Website: www.gore-tex.com. The Foundation will partially support projects that involve “travel with a purpose” in which a particular passion is to be explored. Open to individuals seeking adventure in foreign lands. Open to all nationalities and all ages. Website: timmissartok.com. Welcomes applications from aspiring Greater Ranges climbers who need help to fund expeditions with the objective of establishing new routes, repeating rarely attempted lines, or visiting unexplored areas. The Trust will also provide assistance to candidates who are undertaking the British Mountain Guide scheme. Website: www.chriswalkertrust.co.uk. Gives grants towards expeditions, including mountaineering expeditions, that meet its objectives of guiding and inspiring enterprising young people towards scientific research and exploration in the polar regions. Website here. The trust provides financial support to members of the Volunteer Military Reserve, Cadet Forces, or University Officer Training of the UK, and to units organising an expedition or adventurous training activity. Every year the Winston Churchill Memorial Trust awards some 100 Travelling Fellowships to British Citizens from all walks of life and from all over the United Kingdom. The Fellowships are open to men and women from all walks of life and one category that may be of particular interest is Adventure and Leaders of Expeditions. Website: www.wcmt.org.uk. Expeditions with most members below 20 years old (not usually undergraduate expeditions) involved in discovery and exploration in remote areas. Aims can include community projects, fieldwork and/or physical adventure (climbing/sailing etc.). New groups and ones with disadvantaged members are encouraged to apply. Average grant: £100 - £500 or equipment bursaries. Website: www.theyet.org. The Wilderness Award is a cash award made to a UK resident over the age of 18 who intends to travel overseas, returning before 31st January of the following year, to undertake an unusual and adventurous objective in a geographically remote wilderness area. More info here. Residents of Australia and New Zealand can apply for the North Face Adventure Grant: Details of the award here. If you are aware of any other sources of funding for trips and expeditions that could be added to this page, or if you know any of the links above no longer work, please email Nick Colton at nick@thebmc.co.uk. For a very detailed list of expedition grants available, see www.rgs.org. This list is based on the list produced by the RGS. Essential winter know-how: Whether you're a seasoned winter warrior or just taking your first icy steps, we've got a mountain of essential skills & equipment advice right here on the BMC website. Winter Essentials DVD: This DVD follows a group of winter mountaineers on a typical day out in the Scottish mountains, and shows the essential skills and techniques. People go on a vast range of trips and expeditions. Many of them are totally self-funded, but some do receive some sort of financial support of varying amounts and for different reasons.